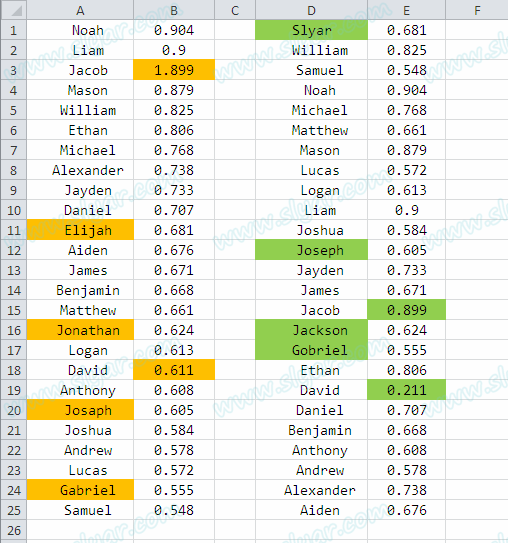 Here is an easy way to compare and highlight the differences of two ordered or out-of-order lists in MS Excel. We will use COUNTIF function to accomplish the task. The COUNTIF function counts the number of cells within a range that meet a single criterion that you specify. 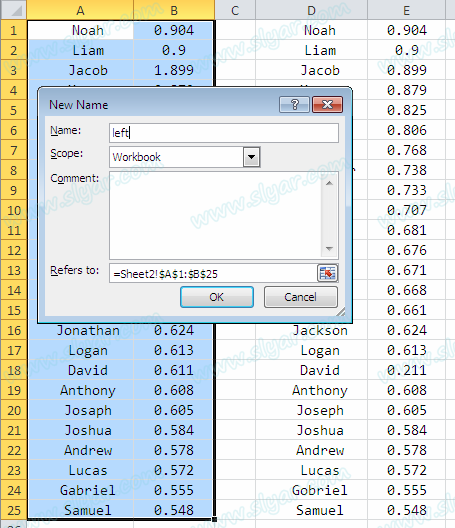 range: One or more cells to count, including numbers or names, arrays, or references that contain numbers. 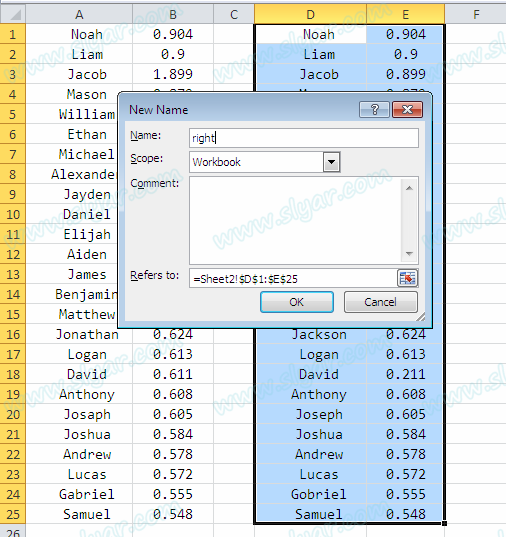 Blank and text values are ignored. criteria: A number, expression, cell reference, or text string that defines which cells will be counted. 2. 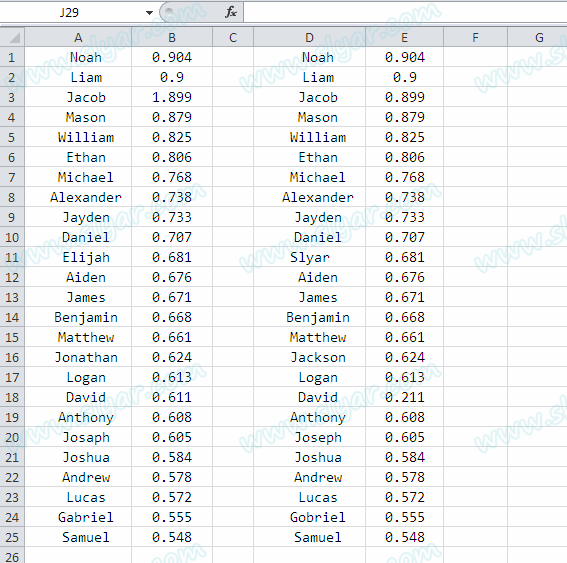 Select the range A1:A25 and B1:B25, right-click the mouse, choose "define name" and give them a name "left"; then using the same way to name range D1:D25 and E1:E25 as "right"
3. Select the range A1:A25 and B1:B25 again, then click the "Conditional Formatting" button under the "Home" tab, and then click "New Rule"
4. 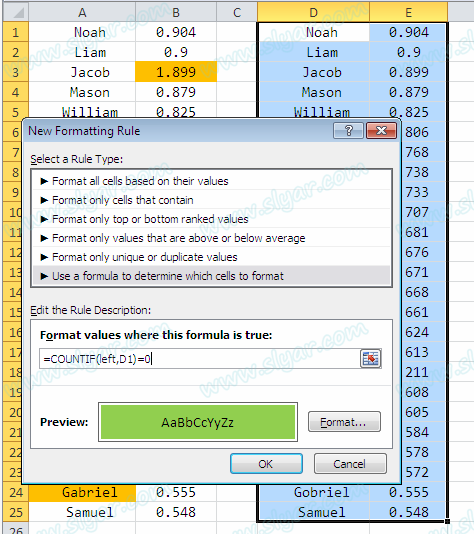 Select "Use a formula to determine which cells to format". 5. 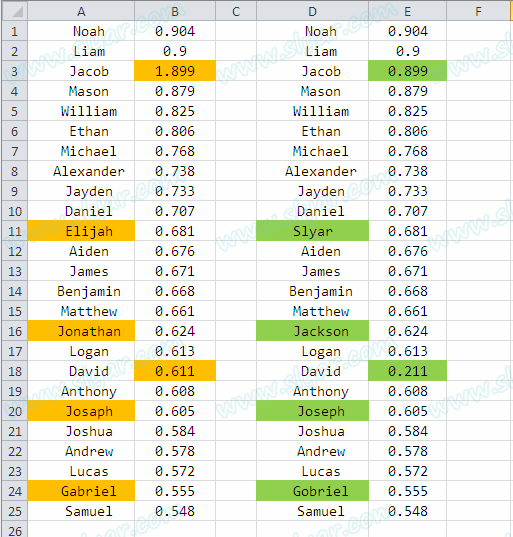 Enter the formula "=COUNTIF(right,A1)=0", it counts the number of teams in "right" that are equal to the team in cell A1. If COUNTIF(right,A1) = 0, the item in cell A1 is not in the "right" list. 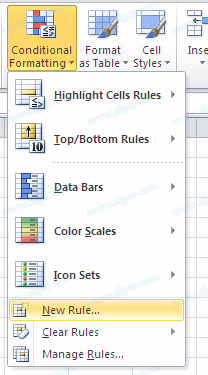 As a result, Excel fills the cell with a blue background color. And this operation will be copied to all selected cells before. 6. 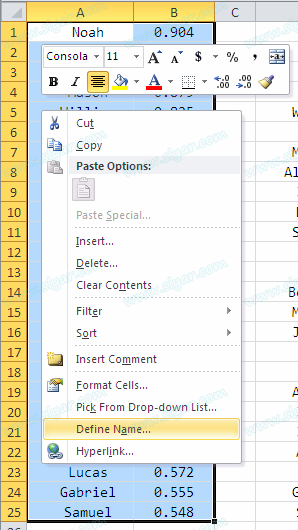 Select a formatting style (like background), and click OK.
7. 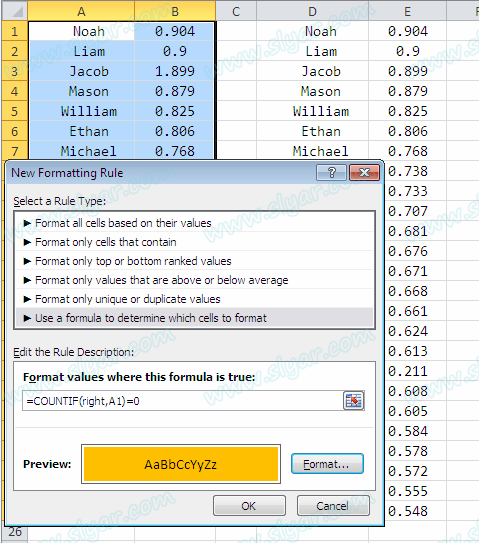 To highlight the items in the right list that are not in the left list, select the range D1:D25 and E1:E25, create a new rule using the formula "=COUNTIF(left,D1)=0", and set the formatting style.